General Mills’ brand Fiber One is expanding its cereal portfolio with the launch of Fiber One Strawberries and Vanilla Clusters, available at American retailers, beginning this month. Made with steel cut oats, vanilla clusters and real strawberries, this new variety is a tasty way for consumers to increase their fiber intake. “We’re excited to add Fiber One Strawberries and Vanilla Clusters to our cereal lineup. 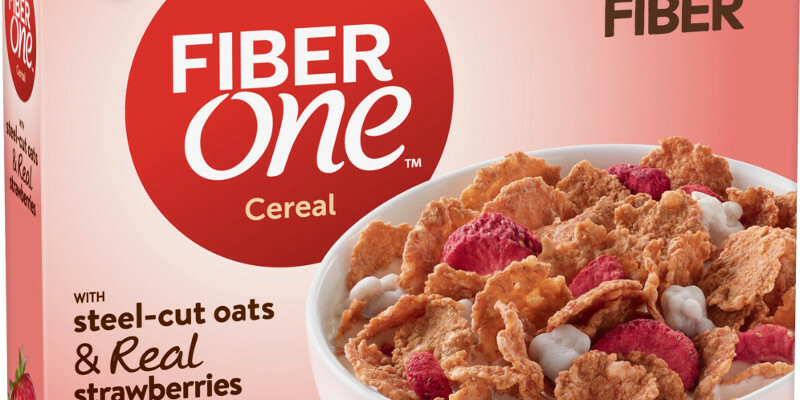 Fiber One has always been the tasty way to fiber, and by adding real strawberries and vanilla clusters, we know this latest product introduction will delight consumers looking for a new fiber-rich option in the cereal aisle,” said Kim Seifert, senior marketing manager for Fiber One. The new products with contain 35% of the daily recommended value of fiber in every one-cup serving might help the Americans to meet their dietary goals.